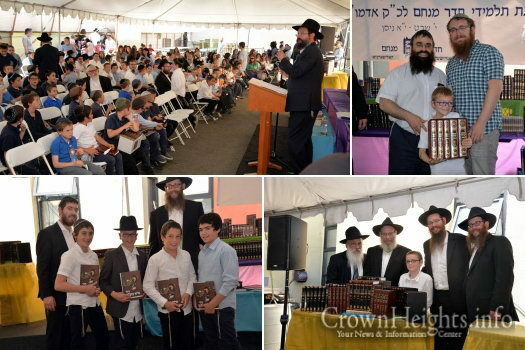 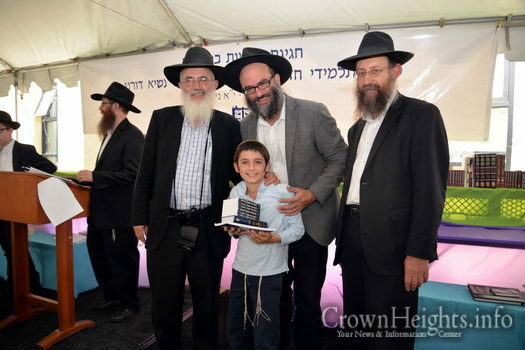 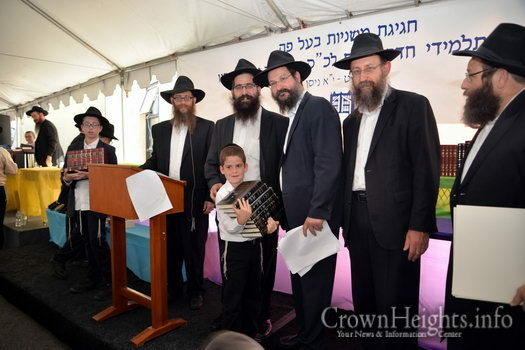 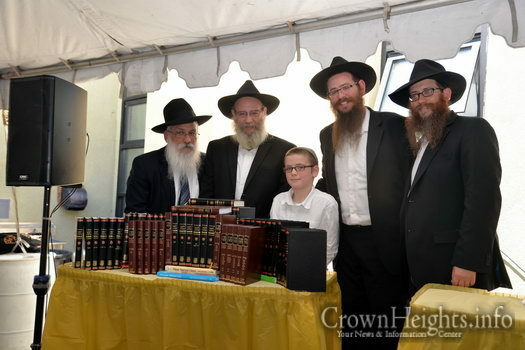 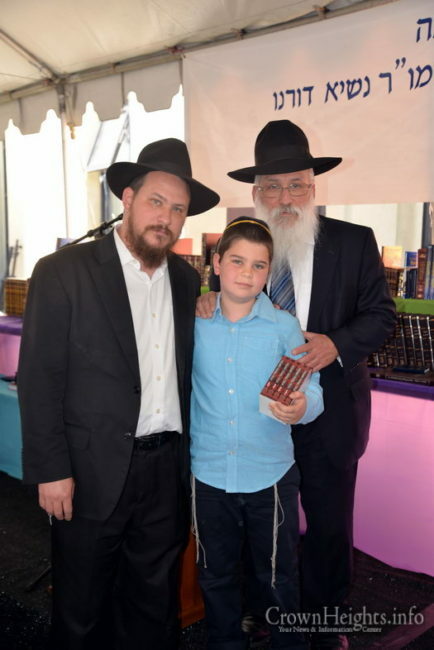 On Sunday, 13 Sivan, the talmidim of Cheder Menachem Los Angeles , together with their parents, grandparents, relatives and friends braved the 100-degree heat and gathered together to mark the culmination of over two months of learning Mishnayos and Tanya Baal Peh, as a present to the Rebbe in honor of Yud Alef Nissan. 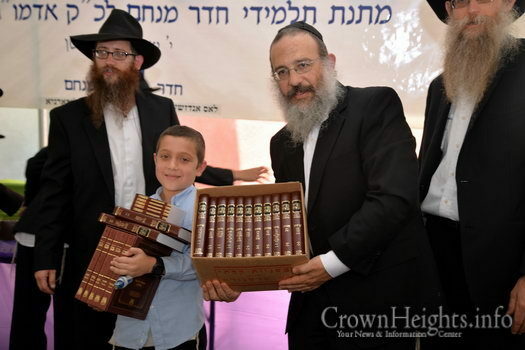 To date, in the 16 years that the program has been going on, the talmidim have surpassed the 1,000,000 line mark of Mishnayos Baal Peh. 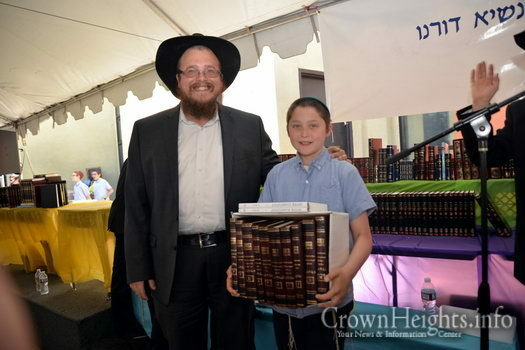 This year’s achievements include, Dovi Spalter, 8th Grade, who learned the entire Seder Moed, Masechta Brochos, as well as a the first 3 Perakim of Tanya; Mendel Schmukler, 7th Grade, who learned the entire Seder Moed, as well as Maschta Brochos and the first 4 Perakim of Tanya. 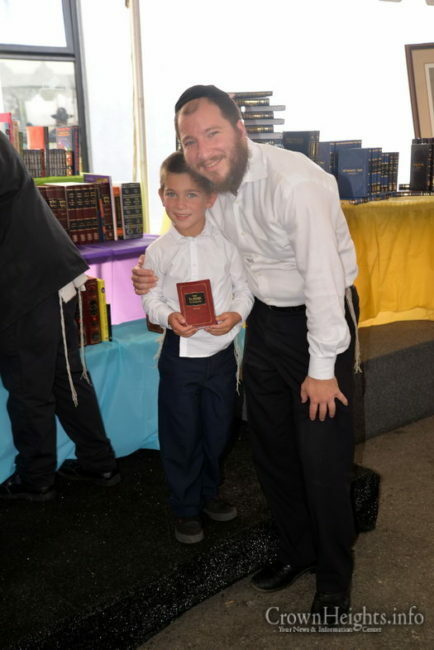 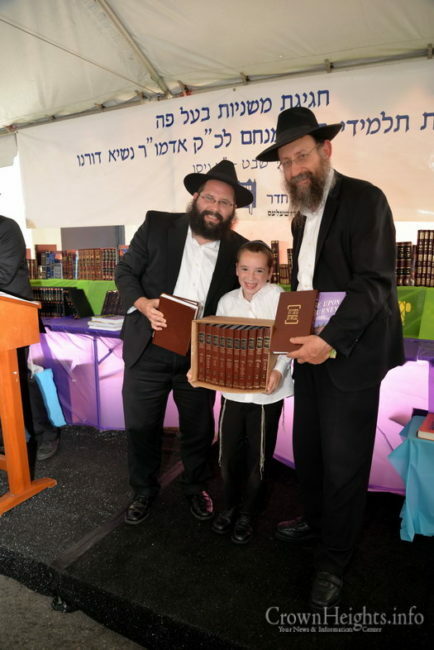 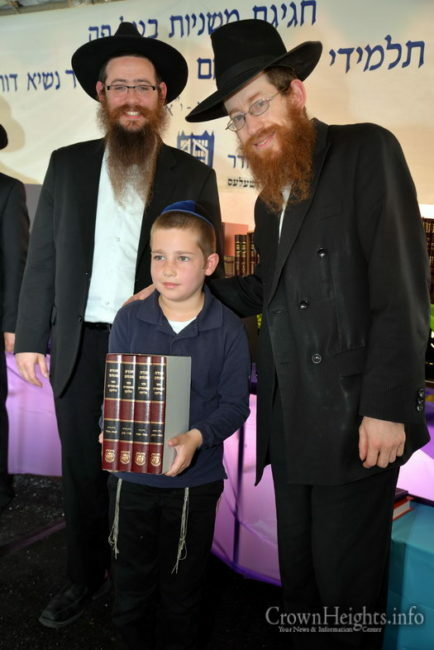 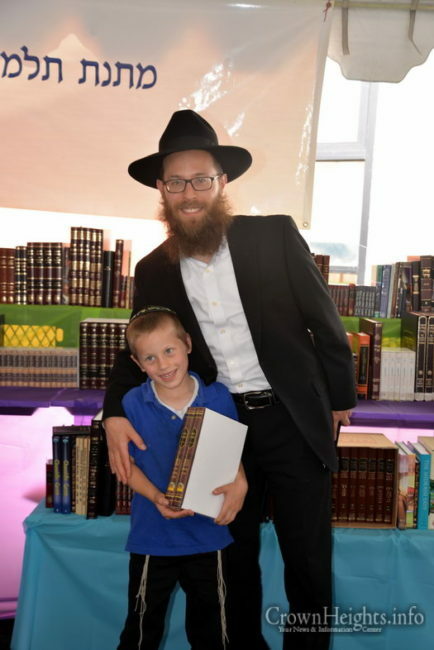 Yossi Heidingsfeld 4th Grade, who learned Masechtos Brochos, Bikurim, Shekalim, Yuma, Sukkah, Beitza, Rosh Hashana, Taanis, Megilah, Moed Katan and Chagigah, as well as the first three Perakim of Tanya. 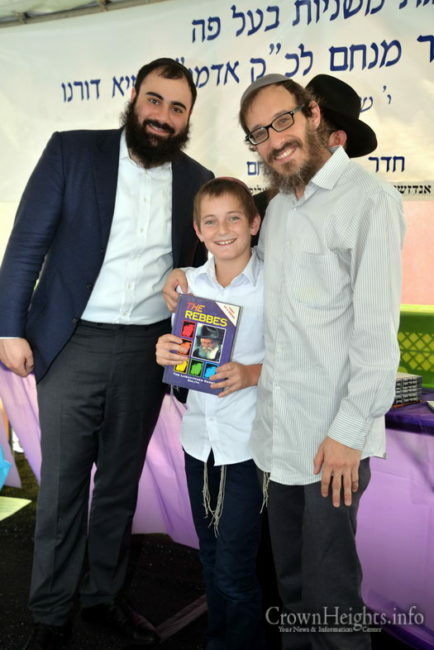 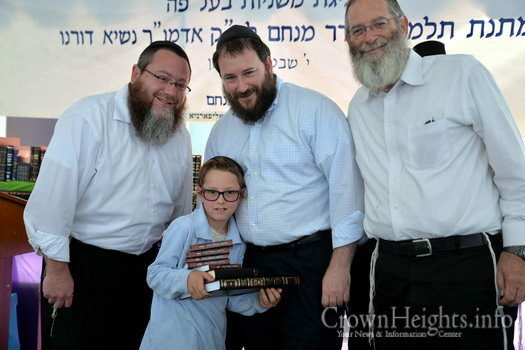 In the spirit of Maalin Bakodesh, a new component was added to the program – presentations to 5 boys who are taking part in the “Sefer a month club”. 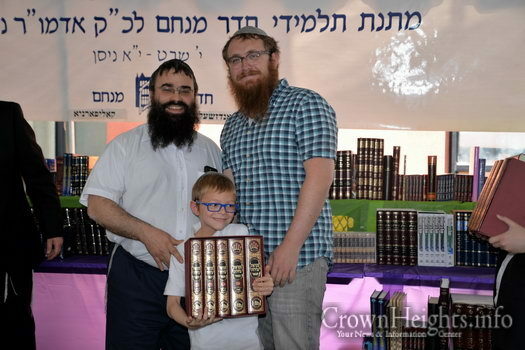 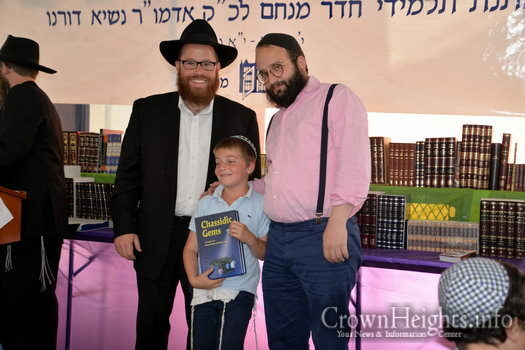 In this club, Talmidim continue reviewing their MIshnayos throughout the year, being tested on at least one complete Masechta a month, and are rewarded with a Sefer each month. 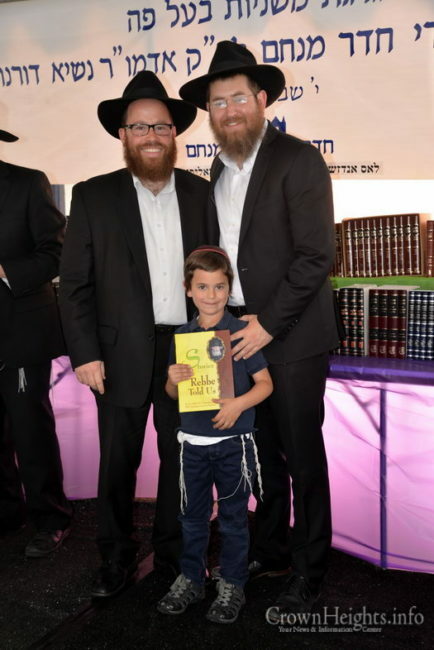 Additionally, a presentation was made to members of the Yud Beis Perakim club who completed the first 12 perakim of Tanya Baal Peh. 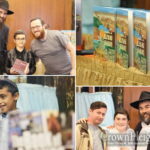 As part of the Cheder’s twelve perakim club, talmidim gather for monthly meetings where they discuss where they are holding and make goals for their learning for the next month , together with some nosh and review games for the Tanya. 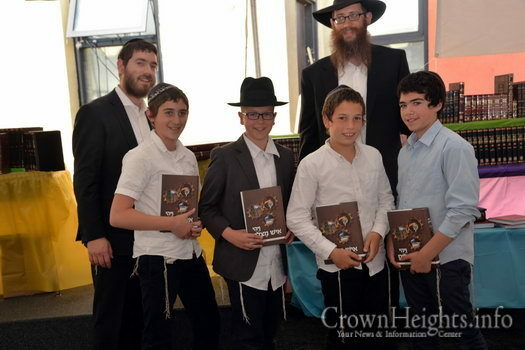 This year, 4 talmidim, Zalman Cunin, Shneur Gurvitch, Sholom Shaya Marozov and Yossi Safranovitz received the Sefer “Vayehi Ish Matzliach” as well as a set of companions to their Tefillin bag – a leather Chitas, leather tefillin mirror and tzedakah pouch. 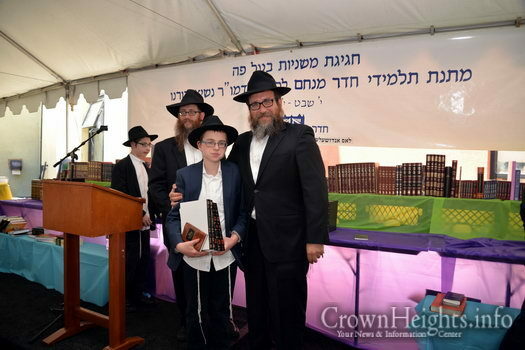 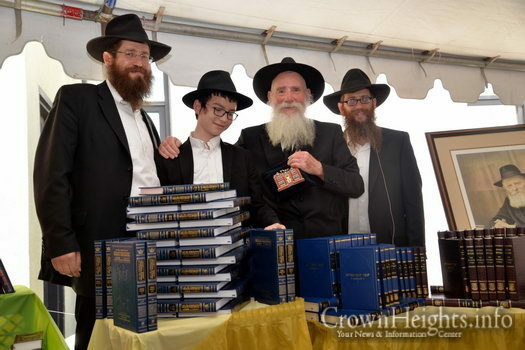 These awards were given out by Rabbi Sholom Heidingsfeld together with Rabbi Levi Eisenberg, who founded the club in memory of HaTomim Nosson Nota ben Reb Zalman Yuda Deitsch a”h. 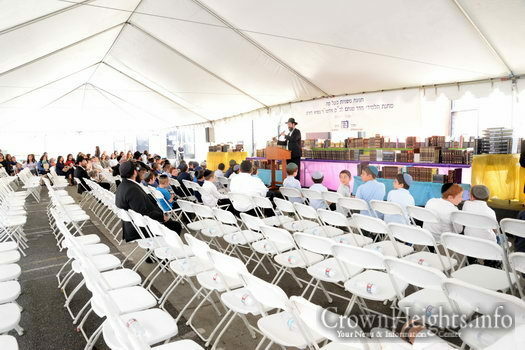 The annual Awards Ceremony took place in a large tent set up in the Cheder yard. 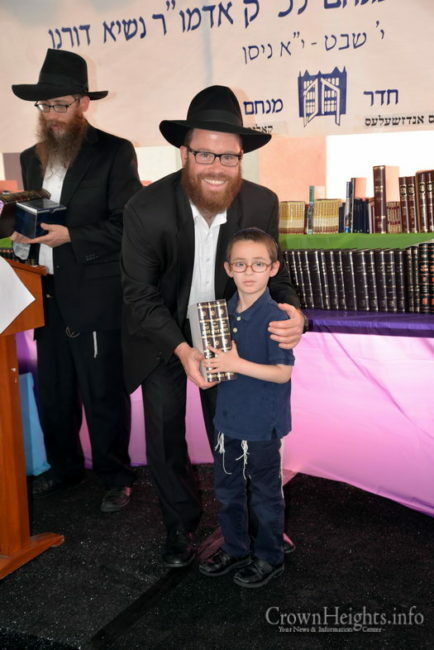 Talmidim were awarded Seforim of their choosing (based on their point total) for their efforts and achievements. 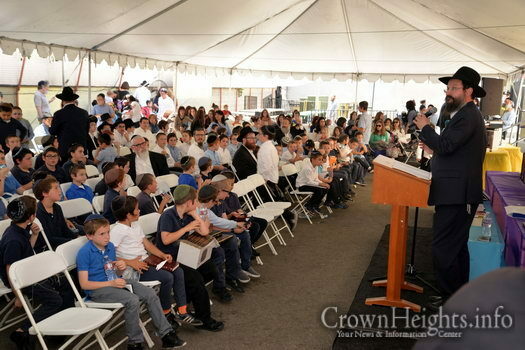 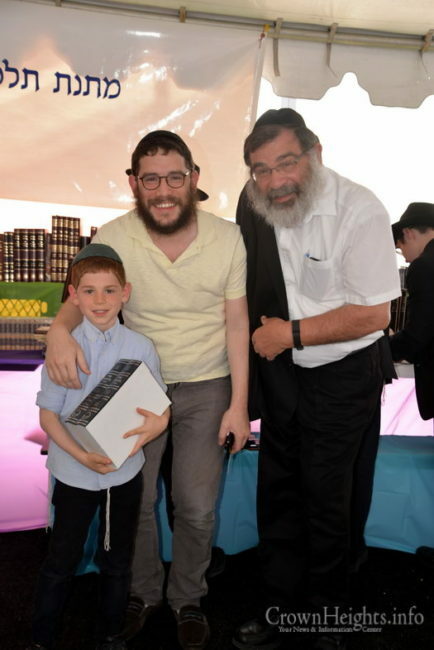 Rabbonim, Roshei Yeshivos, Shluchim, Mashpiyim, parents and friends joined together to recognize and congratulate the achievements of the students. 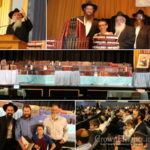 Rabbi Mendel Greenbaum, Menahel of Cheder Menachem, welcomed everyone with a D’var Torah and giving a Yasher Koach to the talmidim. 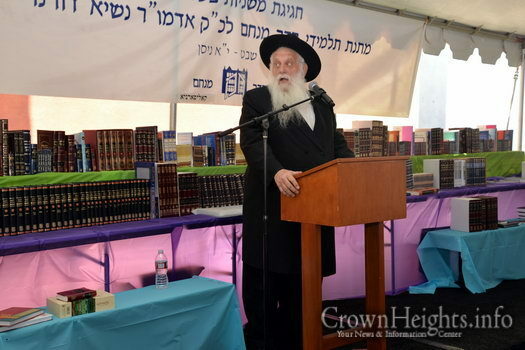 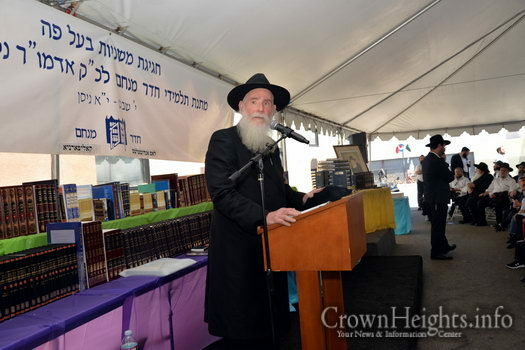 Words of Bracha were shared by Rabbi Shimon Halevi Raichik, Shliach of the Rebbe and Rav of Anash and Congregation Levi Yitzchok, as well as by Rabbi Boruch Shlomo Cunin, Head Shliach to the West Coast. 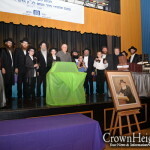 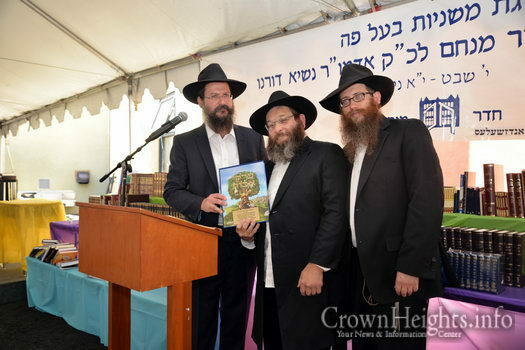 A special presentation was made to Reb Yankel Ginsburg, the “Zevulun” of the Cheder’s MBP Program, who sponsors the Seforim on a yearly basis, L’iluy Nishmas his father, Reb Dov Reuven ben Dovid HaLevi o.b.m. 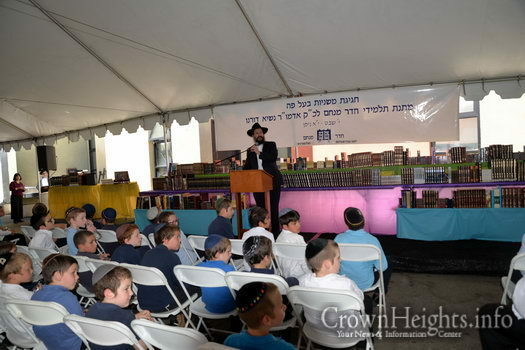 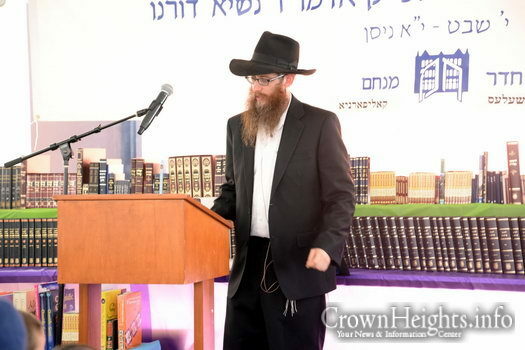 Rabbi Sholom Heidingsfeld, the coordinator of the Mishnayos Be’al Peh program, announced the accomplishments of this year’s MBP, which was followed by awarding the Seforim to the 3 talmidim with the highest accomplishments. 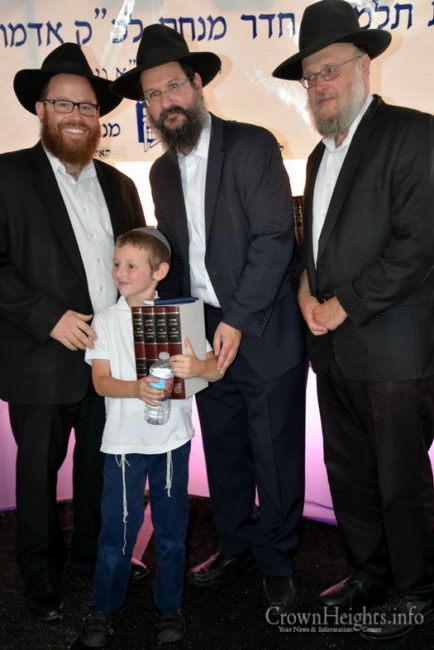 After this, every talmid received their prize according to their achievements. 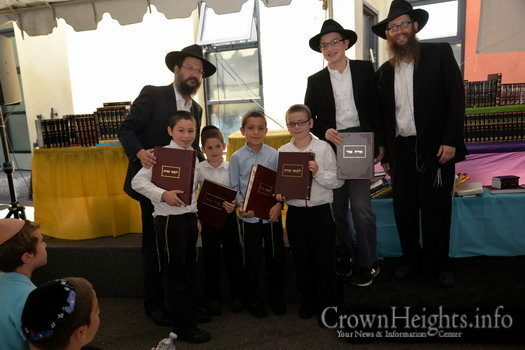 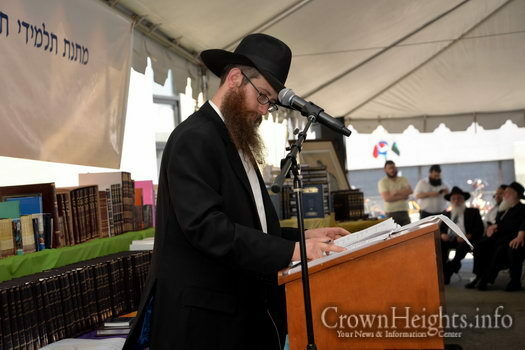 A special thank you to Mrs. Ruchie Stillman, , R’ Nochum Labkowsky, Rabbi Leibel Cohen, Mr. Sam Kustanovich, all the Rebbeim and Menahalim of the Cheder and the Cheder board for all their help in ensuring the success of the day’s events.